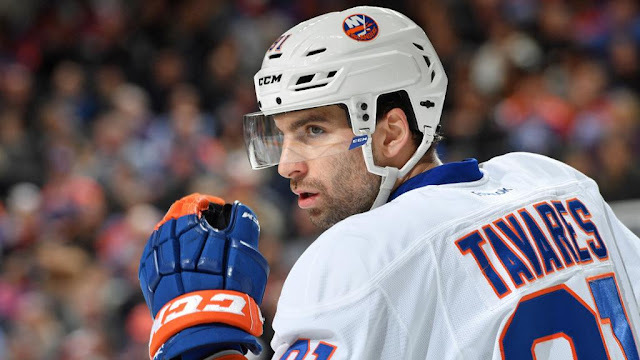 Chatter that superstar forward John Tavares could end up leaving the Islanders is heating up. Speculation around the Islanders and John Tavares continues to grow as long as the franchise pivot remains unsigned. Several in the media are speculating that retaining their captain will prove much more challenging than expected. The Maple Leafs, Canadiens and Rangers have been rumoured as potential suitors for Tavares if he were to hit free agency in 2018. Tavares rumours go all the way back to his draft year, when then-GM Brian Burke reportedly made a vain attempt to move the Leafs up to pick Tavares in the 2009 entry draft. Last year, rumours surfaced suggesting the Leafs, at least internally, were plotting a way to get Tavares in 2018. And earlier this summer, reports suggested that the Isles were putting a contingency plan in place to trade Tavares if he refused to sign an extension. That being said, all public statements by the man himself suggest a commitment to the Islanders organization. Understandably, he's going to use whatever leverage he has to make the team better before he signs. Any sign of friction likely reflects that fact, rather than a strong desire to leave. Nonetheless, the smoke around Tavares continues to build. Until his name is on that dotted line, the temperature is going to steadily rise in the Islanders front office.